2016 just won’t go quietly. Carrie Fisher in intensive care and Rick Parfitt dead on the same day. What a year. Status Quo are not favourites of mine, but I do think their best records are undervalued, so by way of tribute to Parfitt, here’s a piece about my pick of the Quo’s many records. It’s been easy to take the mick out of Status Quo for, what, thirty years? In 1985, Bob Geldof asked them to play at Live Aid because in his mind they were almost a cartoon of the idea of a rock band, and they seemed to him like the only men for the job of opening the concert. But the public perception of loveable old salt-of-the-earth Francis and Rick – your embarrasing uncle’s favourite band – and the music they were capable of making at their peak are a whole world apart. Status Quo and the Beach Boys doing Fun Fun Fun in 1996 is one thing; Status Quo doing Down Down in 1974 is quite another. Down Down is the sort of music that hooked many of Quo’s life-long fans: stripped-down, fuss-free rock ‘n’ roll, all sinew and muscle. Yes, it uses the Chuck Berry-once-removed boogie riff of several dozen other Status Quo songs, but the amount of variety and interest crammed into the song – the sparkling semi-clean guitar breakdown sections; the chromatic ascents from B back up to E halfway through each verse; the way that Rick Parfitt’s bass-string, Chuck Berry-style riffing in standard tuning complements Francis Rossi’s wiry open-tuned Telecaster – for me makes it the standout Quo single, and one of the best rock records full stop. Down Down’s greatest pleasure, though, is the glorious texture of those guitars. There’s something magical about the sound of an electric guitar that’s really cranked up loud, so it’s just on the edge between clean and distorted. That’s where Francis Rossi’s guitar on Down Down lives. It’s clean but with an aggressive edge to it, and when you play that kind of blues-rock riff at 180 bpm while the drummer plays big smacking quarter notes on the hi hat, it’s got all the rock ‘n’ roll attitude in the world without needing loads of gain to prove its point. Rossi’s tone on its own is ear-grabbingly gorgeous, but what makes Down Down really great is the blend of Rossi’s sound with Parfitt’s. Parfitt’s tone is fatter, more distorted and fills in the bottom, underneath Rossi’s guitar. The extended intro keeps you guessing as to what kind of form the song will take when it properly begins, but when the drums and bass (yeoman work from John Coghlan and Alan Lancaster) come in along with Parfitt’s fatter and more distorted boogie riff, and the song proper reveals itself, it’s a glorious moment. No wonder John Peel’s 45 of Down Down was in the box where he kept all his most treasured singles. If you needed a record to try to explain to an alien visitor what rock ‘n’ roll music is, you could do a lot worse that reach for Down Down. This entry was posted in Music and tagged Alan Lancaster, Bob Geldof, Chuck Berry, Down Down, Fender Telecaster, Francis Rossi, In memoriam, John Coghlan, Live Aid, open G, open tunings, Rick Parfitt, RIP, Status Quo on December 26, 2016 by rossjpalmer. I should play it more really – these days I pretty much only get it out for recording. I’m still, years after I started doing it with my old band (the Fourth Wall, god rest them), really into the tonal effects you can get by overdubbing acoustic guitars, especially 12 strings against 6 strings. All the reasons that you might double electric guitar parts apply equally to acoustic guitars parts: you can do it to provide width, to blend different voicings of the same chords, or to blend the tones of two different instruments to create a sound that wouldn’t be obtainable any other way, and so on. The practice of mass acoustic overdubbing is somewhat rarer than it is with electric guitar parts, though, which might be for no other reason than the fact that it’s more difficult to do well. Acoustic guitar is an extremely percussive instrument. When you record two of them (whether you personally record two parts or the two guitarists in your band record one track each), it becomes very important that the two parts are in time with each other and in time with the snare drum. The further out the strums are from each other or – worse – the snare drum, the more the ear is likely to hear them as flams. This can get distracting for the listener pretty quickly. If you’re undeterred, though, here’s a couple of tips. Blending a standard-tuned part with an open-tuned part can be super fun. Imagine using a C-based tuning like CGCFGC on a 12-string guitar in the context of a song where the main progression is something like C/dminor/aminor/G: you can create a rich, resonant blend that wouldn’t be possible from two standard-tuned parts, really taking advantage of the drone strings and the low C bass. And of course, the effect of this will be even greater if the open-tuned part happened to be played on a twelve-string. Another tip, particularly if you don’t want to get involved in open tunings, is to use a capo to track a second part using different chord shapes to the first part. Take the progression from the previous paragraph. How about putting a capo on the third fret and playing A / bminor / f#minor / E? Yeah, that’s right: it’s the same sequence as the guitar is sounding a minor third higher than concert pitch because of the capo. Once again, this can be used to create a tone, a richness of sound, that simply can’t be drawn out of one instrument. Again, if one of these parts is played on a twelve-string, the effect is amplified still further. Coolest of all, but oh so difficult to do even vaguely well, is blending 12- and 6-string fingerpicking parts. I think that’s what Lindsey Buckingham’s up to on Fleetwood Mac’s Landslide (from 1975’s Fleetwood Mac, the first album the band made with Buckingham and Stevie Nicks). The part on the right sounds like it’s got octave notes in it, but it might be some clever psychoacoustic trick. However he did it, it’s super-cool, and it definitely sounds like a 12 string is in there. This entry was posted in Gear, Music and tagged 1970s, acoustic, acoustic guitar, alternate tunings, arrangement, chord voicings, drone strings, fingerpicking, Fleetwood Mac, guitar, guitar sounds, Landslide, Lindsey Buckingham, multitracking, open tunings, overdubbing, Seagull S12, sound recording, Sound recording and reproduction, Stevie Nicks on June 17, 2016 by rossjpalmer. Actually, I lied: I’ll get back to the tuning stuff tomorrow. Today I’d like to talk very quickly about double-tracking acoustic guitars. All the reasons that you might double electric guitar parts can apply equally to acoustic guitars parts: you could do it to provide width, to blend different voicings of the same chords, or to blend the tones of two different instruments to create a sound that wouldn’t be obtainable any other way, and so on. The practice of mass acoustic overdubbing is somewhat rarer than it is with electric guitar parts, though, which might be for no other reason than the fact that it’s more difficult to do well. Acoustic guitar is an extremely percussive instrument. When you record two of them (whether you personally record two parts or the two guitarists in your band record one track each), it becomes very important that the two parts are in time with each other and in time with the snare drum. The further out the strums are, the more the ear is likely to hear them as flams. This can get distracting for the listener pretty quickly. If you’re undeterred, though, here’s a couple of tips. Blending a standard-tuned part with an open tuned part can be fun. Imagine using one of the C tunings I talked about yesterday in the context of a song where the main progression is something like C/dminor/aminor/G: you can create a rich, resonant blend that wouldn’t be possible from two standard-tuned parts, really taking advantage of the drone strings and the low C bass. And of course, the effect of this will be even greater if the open-tuned part happened to be played on a twelve-string. All of these ideas are time-honoured, copper-bottomed arrangement techniques that have been around for decades. I’d like to be able to tell you who did it first in order to give them their due credit, but I simply don’t know who we have to thank. 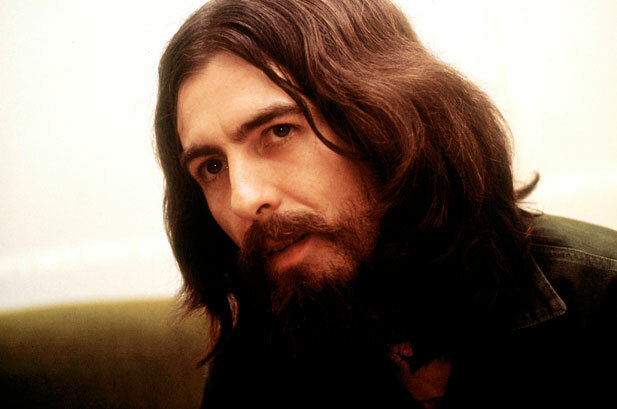 So give them a go yourself, practice until you can double acoustic parts tightly (there’s no shortcut: you have to earn it through hard work, I’m afraid), and then go crazy in a 1971 George Harrison, All Things Must Pass stylee. This entry was posted in Gear, Music and tagged acoustic guitar, alternate tunings, hi-fi, open tunings, sound recording, twelve-string guitar on May 10, 2013 by rossjpalmer.